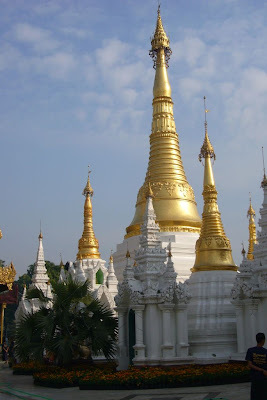 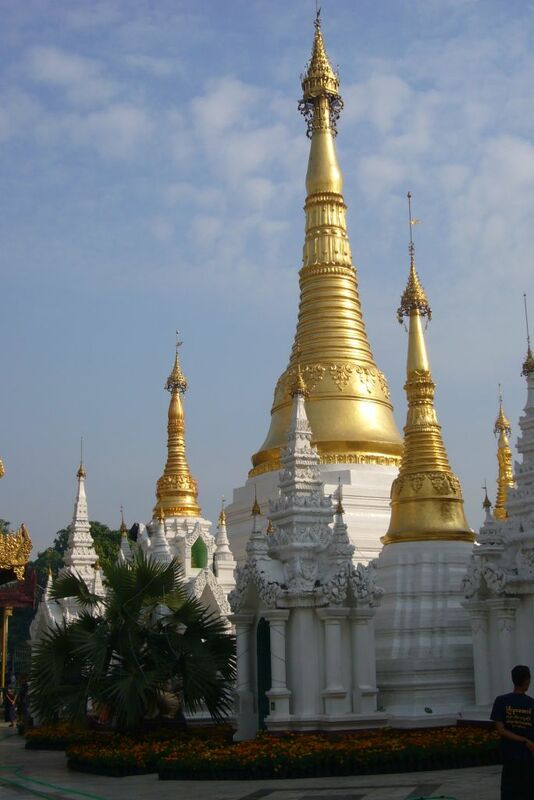 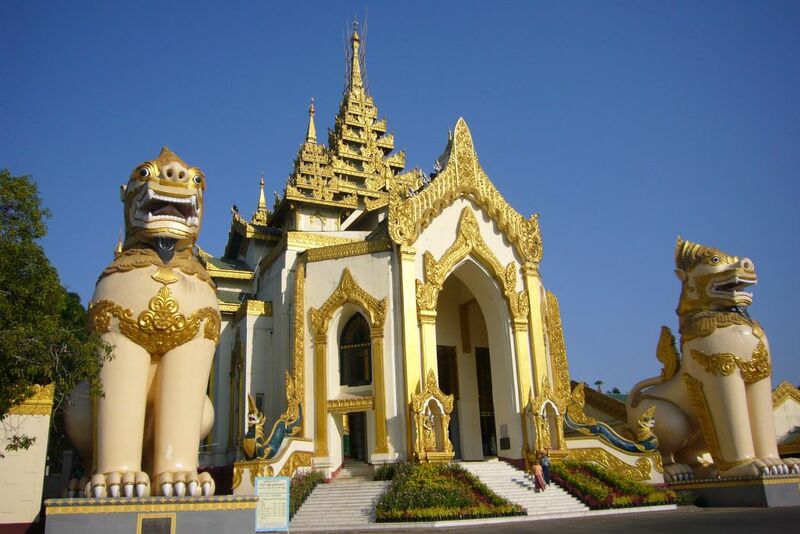 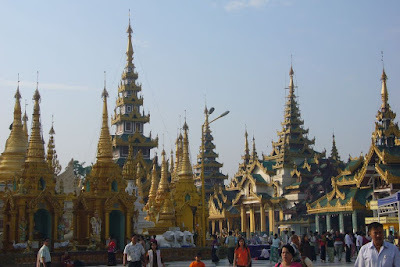 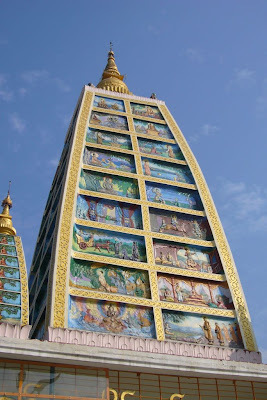 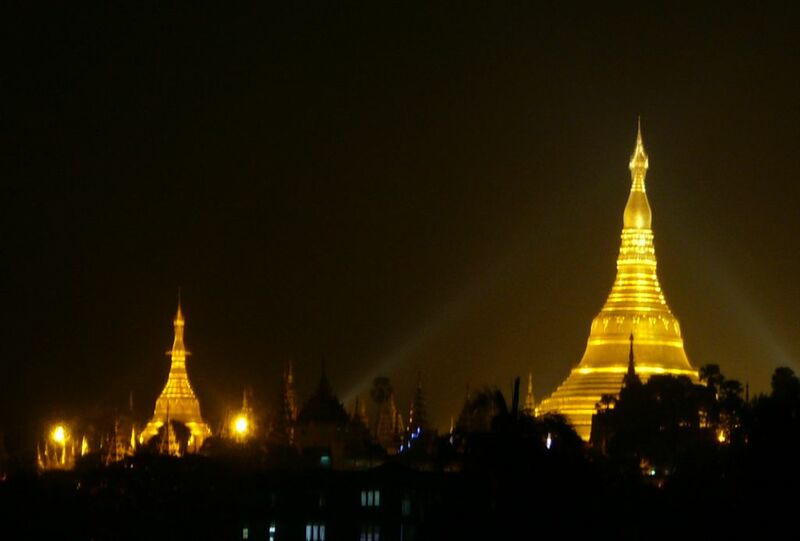 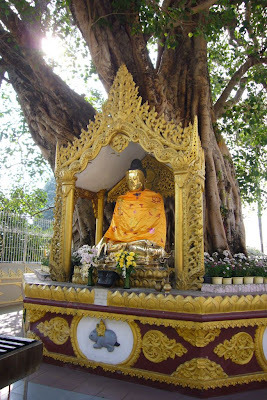 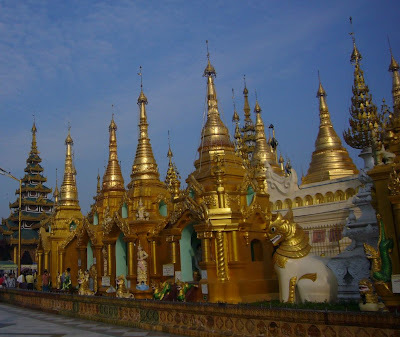 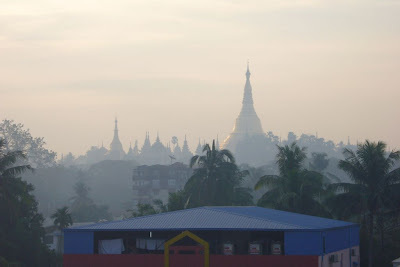 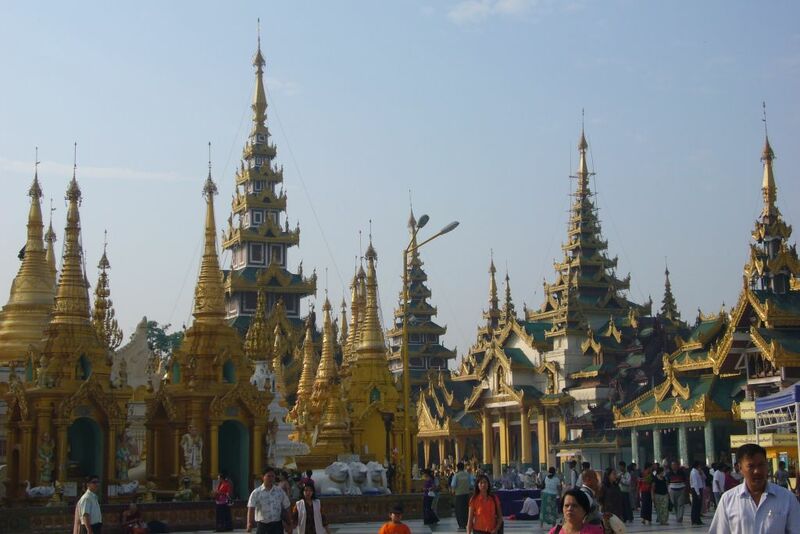 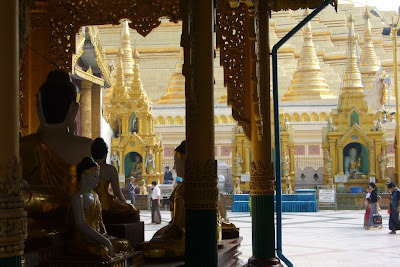 This is Shwedagon pagoda and really has to be seen to be believed. 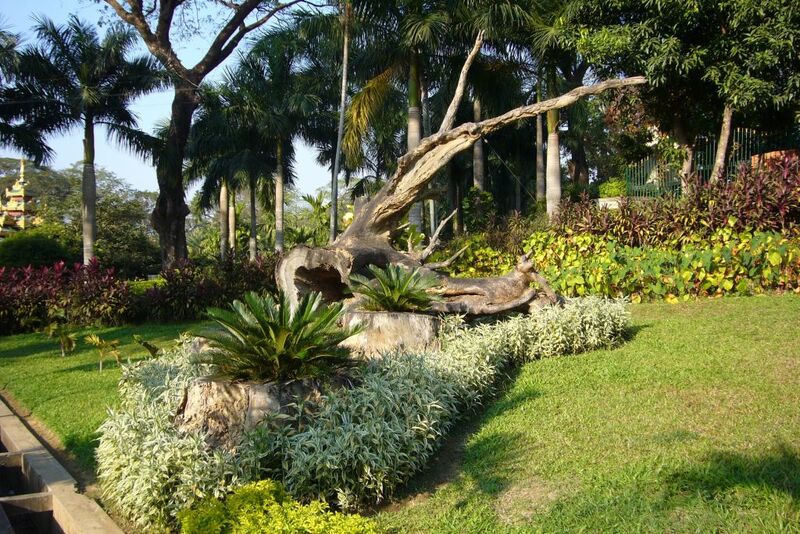 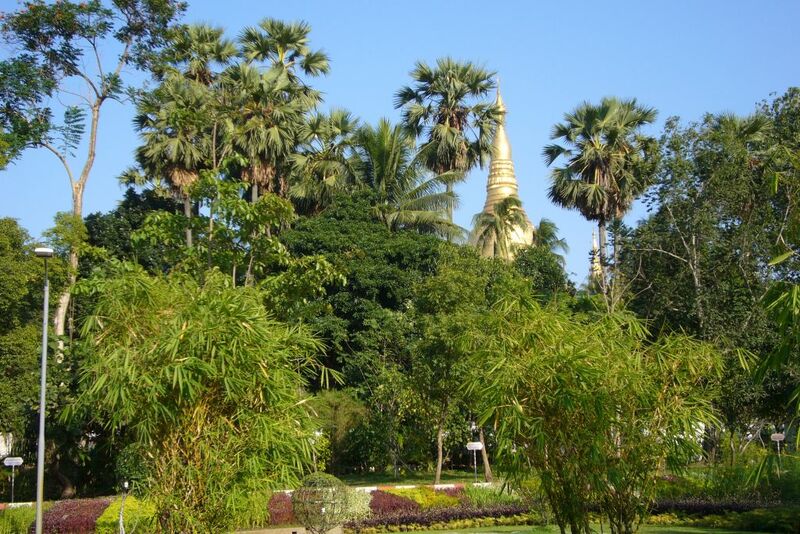 Yangon is a very green town and the palm trees mixed in among the buildings gives it a lovely tropical feel. 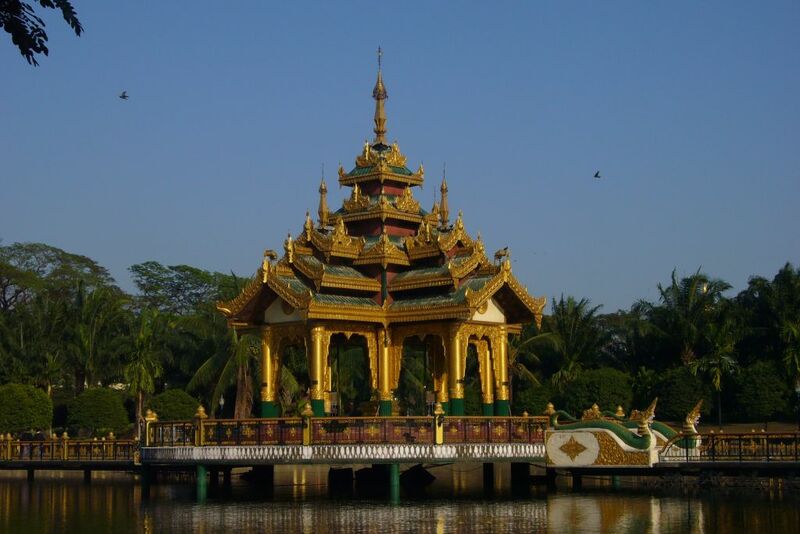 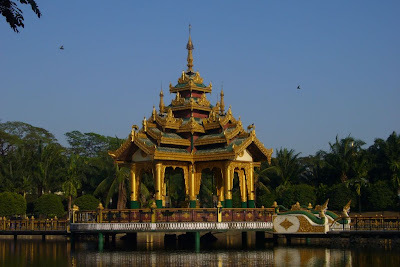 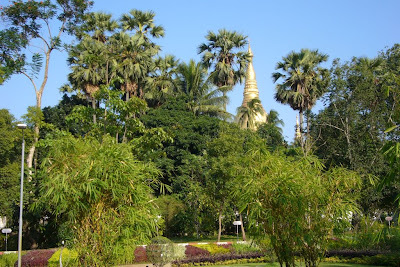 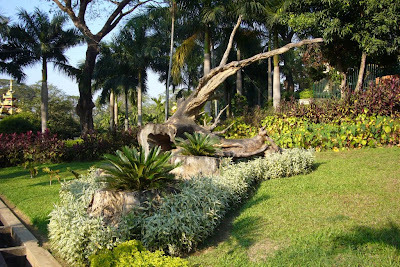 There are a few parks which seem to be very well looked after, my favourite was the one around the base of the pagoda. These parks are full of young couples sitting under umbrellas in quite spots. 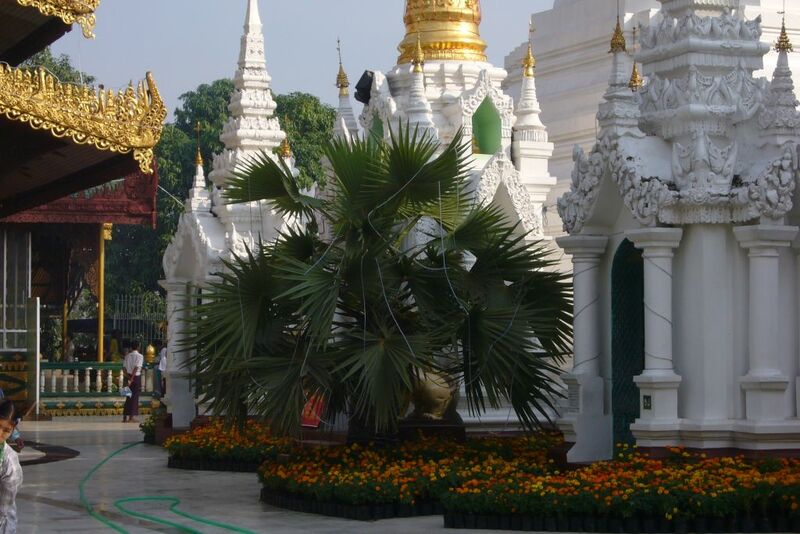 At each corner / end of the park there is an entrance to the pagoda and what entrances. If you look closely you can see people on the steps showing how large these were. 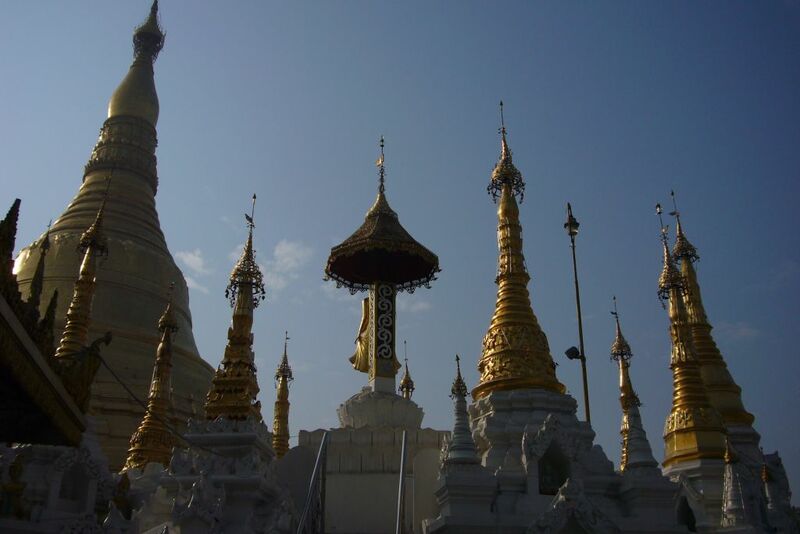 The entrances lead to covered stairways up to the platforms where the actual pagoda is. Coming out of the cool covered area into the dazzling sun you are greeted by a mass of gold. 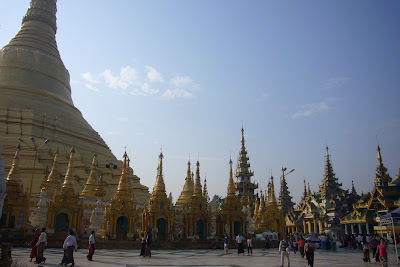 The this central area is surrounded by other buildings which would be pretty special on their own let along put all together. 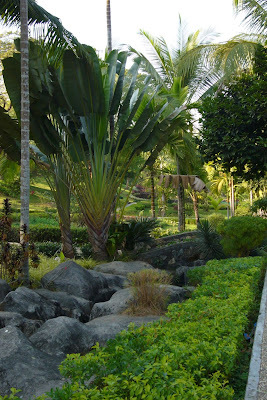 One of the things I liked was the plants in amongst everything. Given the climate it is no surprise that there were loads of gingers, bamboos and palms. 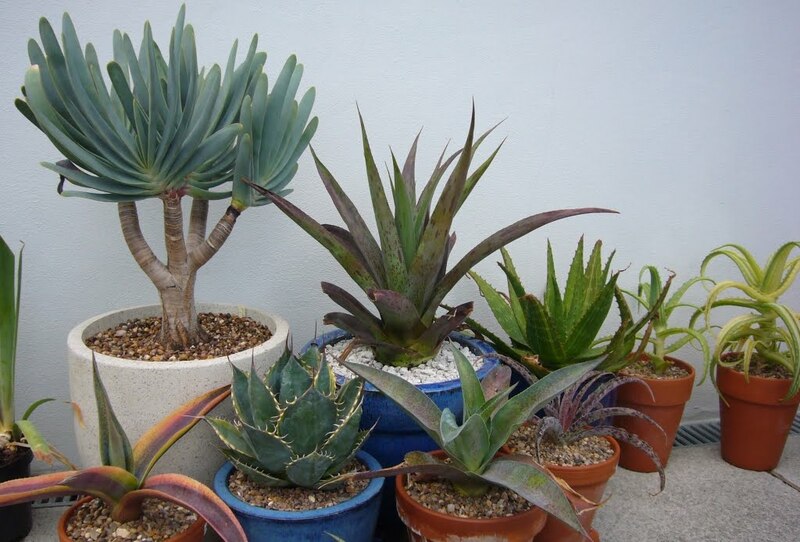 Sadly very few spikies but you can't have everything. 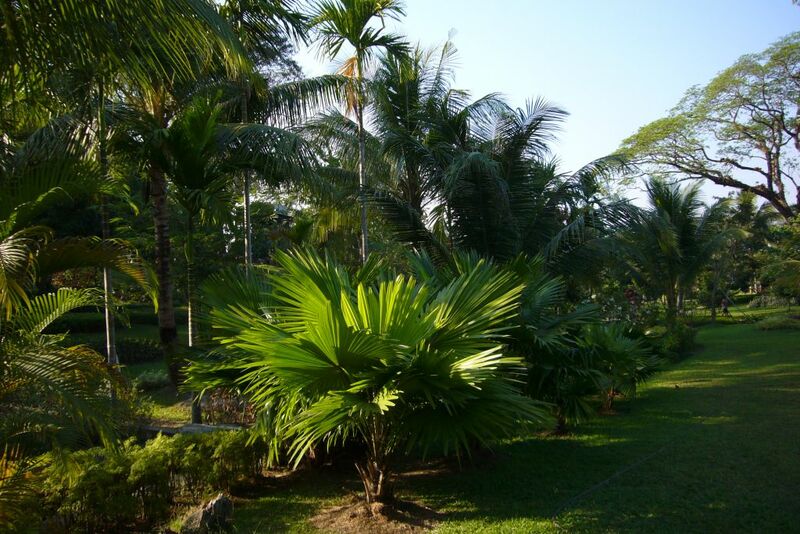 I had meant to take loads of photos of the plants but had taken so many other photos my camera battery was flat. I guess I am going to have to go back to get some better photos for you. 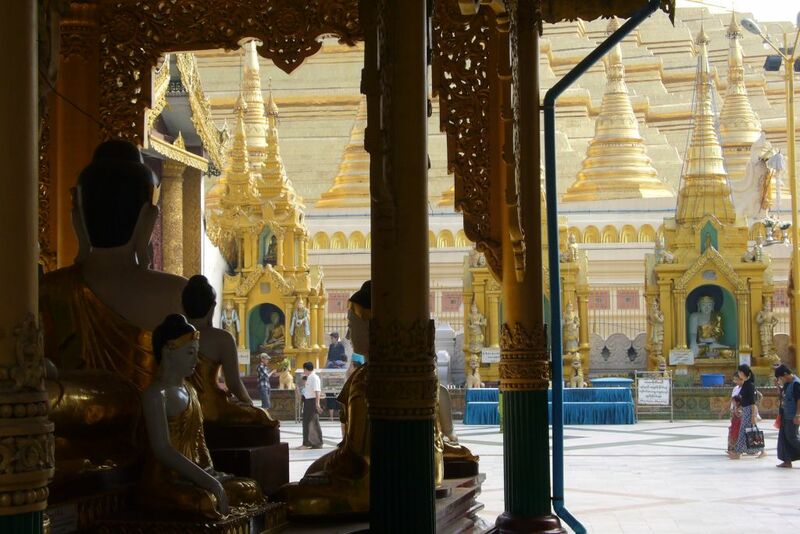 Lovely photos - thanks for taking the time to post them!